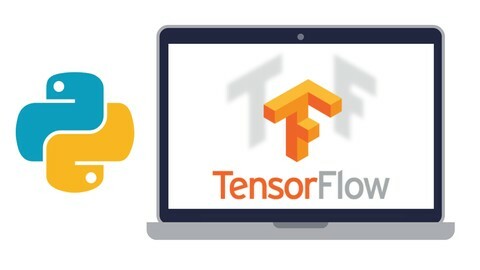 Learn how to use Google's Deep Learning Framework - TensorFlow with Python! Solve problems with cutting edge techniques! Become a Deep Learning Guru! Welcome to the Complete Guide to TensorFlow for Deep Learning with Python! This course will guide you through how to use Google's TensorFlow framework to create artificial neural networks for deep learning! This course aims to give you an easy to understand guide to the complexities of Google's TensorFlow framework in a way that is easy to understand. Other courses and tutorials have tended to stay away from pure tensorflow and instead use abstractions that give the user less control. Here we present a course that finally serves as a complete guide to using the TensorFlow framework as intended, while showing you the latest techniques available in deep learning! This course is designed to balance theory and practical implementation, with complete jupyter notebook guides of code and easy to reference slides and notes. We also have plenty of exercises to test your new skills along the way! There are many Deep Learning Frameworks out there, so why use TensorFlow? TensorFlow is an open source software library for numerical computation using data flow graphs. Nodes in the graph represent mathematical operations, while the graph edges represent the multidimensional data arrays (tensors) communicated between them. The flexible architecture allows you to deploy computation to one or more CPUs or GPUs in a desktop, server, or mobile device with a single API. TensorFlow was originally developed by researchers and engineers working on the Google Brain Team within Google's Machine Intelligence research organization for the purposes of conducting machine learning and deep neural networks research, but the system is general enough to be applicable in a wide variety of other domains as well. It is used by major companies all over the world, including Airbnb, Ebay, Dropbox, Snapchat, Twitter, Uber, SAP, Qualcomm, IBM, Intel, and of course, Google! Become a machine learning guru today! We'll see you inside the course!